Although gum recession can be caused by a variety of reasons, including gum disease, grinding or clenching and poorly positioned teeth, the most common cause is aggressive tooth brushing. 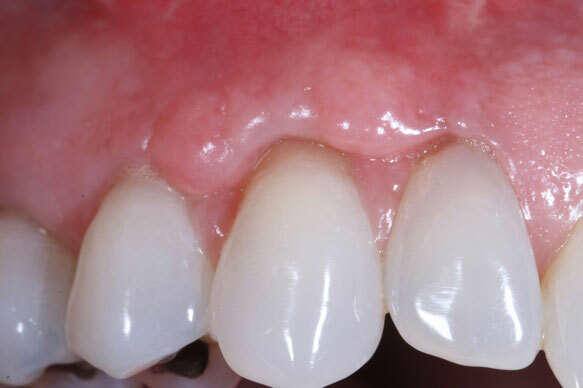 As gums recede, exposing the roots, the teeth appear too long and misshapen. The exposed roots become vulnerable to root decay and sensitivity to hot and cold. 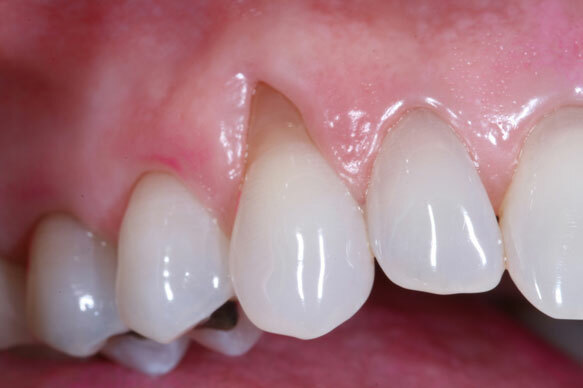 Aesthetic tissue grafts involve adding soft tissue to reinforce thin gums, or repair the defect caused by gum recession. Covering the roots that make the teeth look too long will improve the aesthetic appearance of the smile. This procedure will also help to prevent additional recession and bone loss, solve the problem of root sensitivity to hot and cold, and protect the roots from decay.